It's still a phenomenal show though I will warn you that the first few episodes are confusing. The first novel was released in February 2003 under ASCII Media Works' (formerly MediaWorks) Dengeki Bunko imprint, and as of March 2013, twenty novels have been released. 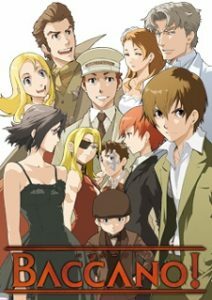 The novels were adapted into a sixteen episode anime television series directed by Takahiro Omori and produced by Brain's Base and Aniplex. The first thirteen episodes were aired on WOWOW from July 26, 2007, to November 1, 2007; the final three were released direct-to-DVD. 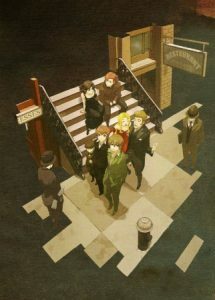 The series was also adapted into a two-volume manga, an adventure video game for the Nintendo DS and two drama CDs. An additional novel was released with the first drama CD and two gaiden novels were released in parts with the DVDs of the anime adaption. Funimation has dubbed the anime episodes in English, and has licensed them for release in the United States and Canada. The series was also licensed by Manga Entertainment for English releases in the United Kingdom, and by Madman Entertainment for releases in Australia and New Zealand. 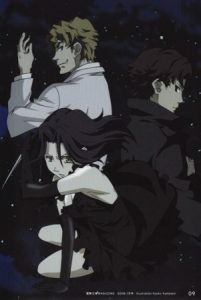 The entire English-dubbed series was streamed through Hulu during October 2009 and English-subtitled episodes continue to be streamed. Funimation streams English-subtitled and English-dubbed episodes through their website. The series has also aired in the Philippines, Hong Kong and Southeast Asia on Animax Asia. On January 25, 2016, it was announced that the streaming and DVD home distribution rights for the North American distributor of the anime, Funimation, would expire, which occurred on February 8, 2016. 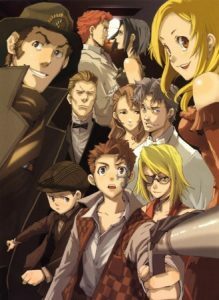 I love Baccano ever since I first watched it on Hulu years ago!